Britain’s senior citizens are suffering from mental illness in silence, according to the head of the UK charity helpline, The Silver Line. 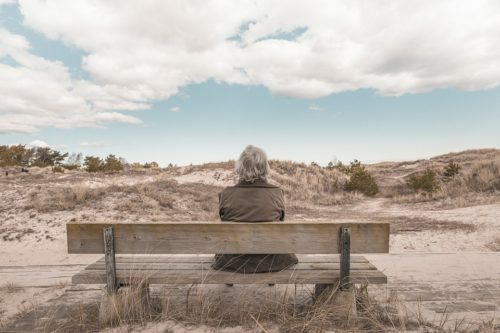 The charity’s chief executive, Sophie Andrews, told the Telegraph last week that an increasing number of seniors with depression are calling its helpline but go untreated because they are hesitant to confide in a loved one or medical professional. Often they don’t want to be judged or they don’t want any action to be taken. They say they don’t want anyone to know how they feel, because they don’t want their independence taken away from them. As a result, the number of senior citizens suffering from mental illness is underreported and the problem is going unnoticed. Also underreported, Andrews believes, are the incidents of suicide in the elderly population, as coroners can be reluctant to attribute it as cause of death where no note or other evidence is left. While there have been efforts to reduce the stigma surrounding mental health issues—including the launch in 2016 of Heads Together, a project led by the Duke and Duchess of Cambridge and Prince Harry—these have largely been targeted towards young people. The Silver Line was launched in 2013 as a 24-hour helpline for seniors who were feeling lonely, needed support, or were suffering from abuse. Andrews says that calls to the line are increasing 5–10 percent every month, with many coming at night after 11pm from older people struggling with depression, thoughts of suicide, and fear of dying. In America, the AARP has previously reported that of the 6.5 million older adults suffering from depression, less than 10 percent received treatment and suicide rates were seven times higher than any other age group. The National Alliance on Mental Illness (NAMI) has noted a stigma around American seniors seeking treatment similar to that of their British counterparts, as well as a worry unique to Americans—the cost of treatment—that keeps seniors from finding help. An additional barrier to treatment is the failure of doctors to identify the signs of depression, which can often be mistaken as symptoms of other common geriatric illnesses or missed altogether, as they may differ greatly from signs seen in younger people.